The LinkedIn home page is typically a person’s very first experience with LinkedIn. We’ve frequently used it as the primary place to introduce and promote any new products developed at LinkedIn. When we recently redesigned the LinkedIn home page from the ground up, it gave the engineering team an opportunity to rethink the technologies we currently use and what we could change or adopt to reinvent the member experience. The good news is that the engineering organization at LinkedIn has best-in-class support for Java services and we built support for an open-source web framework known as Play. 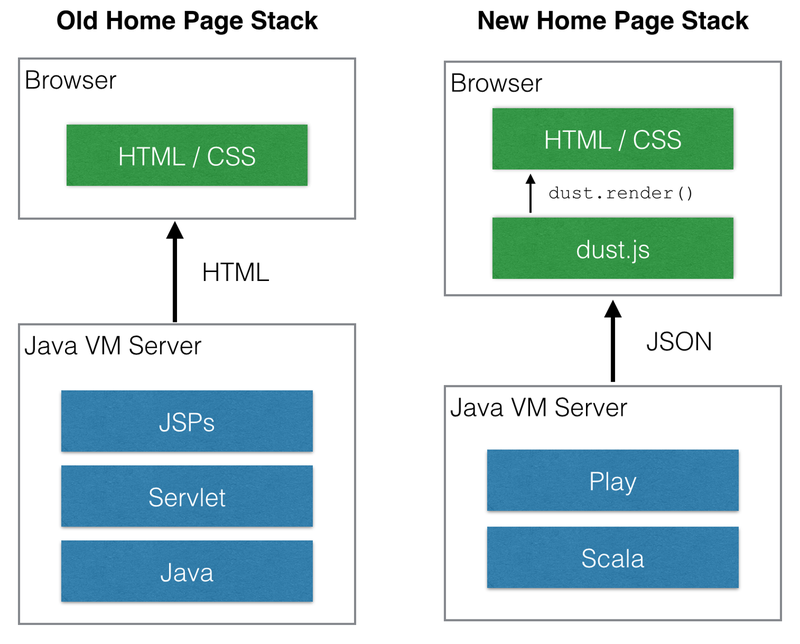 We also invested heavily in an open-source HTML templating framework known as dust.js. Combining the two technologies gave us an open-sourced web stack that easily enabled us to do both server-side and client-side rendering while using well-documented frameworks that anyone could learn independently. Once we had figured out the right frameworks to use, we needed to ensure that we could deploy changes to the public as fast as possible. A high-iteration speed enables us to test changes, get feedback, and eventually deliver the best user experience as fast as possible to our members. The old home page required one week of manual testing due to the amount of services/pages stuffed into a single deployable unit. As a result, we only released the home page about once a month and it was a lot of manual (i.e. painful) work. We now release the home page on a daily basis. 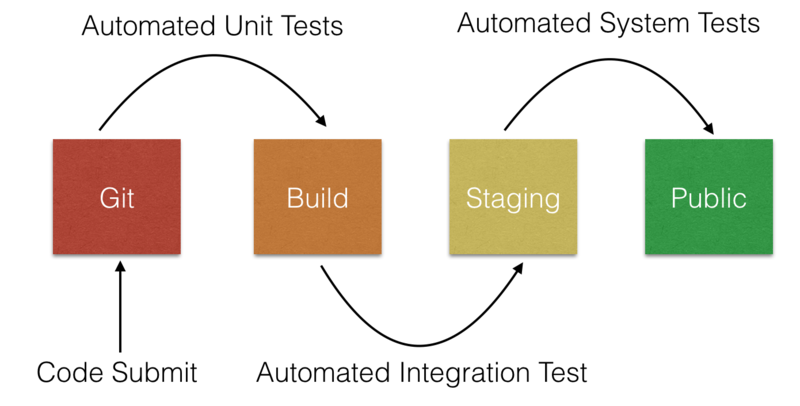 The automated test suite takes only 45 minutes before we know whether or not we have a good build to deploy to production. Out of all the challenges we faced and changes we made, optimizing the page’s load time was by far the most difficult. When you build a page that sits on the highest level of the stack being supported and served by hundreds of different services, it takes a very long time to understand where the time is being spent and how to optimize those bottlenecks. 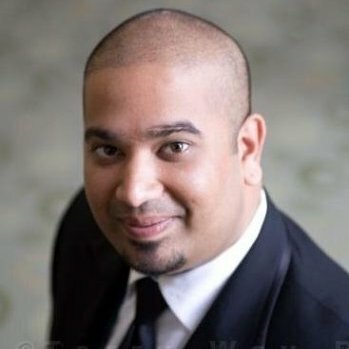 BigPipe: This technique enables us to stream the home page and begin rendering on the browser before waiting for all of the page’s dependencies to be ready. Parts of the page are available faster than others which enables the browser to render as fast as possible, rather than waiting and rendering everything at once. Image lazy-loading: It turns out the one thing that’s the most difficult to measure (and impossible to control) is loading of images, especially from third-party sources where the image may not reside in your CDN. As a result, we delay the loading of images until after the page has loaded and is interactable, thus enabling the user to read and interact with content ahead of image load time. Redirect Reduction: Redirects have a high latency penalty on users, especially users with slow or high-latency networks (e.g. mobile). We reduced the number of redirects needed at the browser by implementing them in ATS (our network traffic layer). All of these changes gave us an initial double-digit percentage speed improvements (across many regions in both 50th and 90th percentile). We’re continuing to iterate to make the page load faster and faster, but these three techniques alone gave us very promising results. We built the new version of the home page using Scala because the language adapted itself better to asynchronous programming. With the incorporation of lambda functions in Java 8, it’s possible we’ll be utilizing Java more. Lastly -- we’re never fast enough. We’re working on more automation frameworks to enable us to release to production three times a day. We hope you love using the new home page as much as we loved building it.